A journalist, blogger, content writer, and digital storyteller. Seeking new challenges in the digital age. They stood together, side-by-side, in solidarity in the heart of an Irish town. Their hearts beating loudly, but their heads held high. These were once the marginalised, the forgotten ones, the ones who were never supposed to speak out, express their pain, or make much of their lives. As children, they were called the ‘Home Babies’. Or . . . the children of the ‘fallen women’. Or . . . the illegitimate ones. Or . . . appallingly, the bastards. Bastards – the disgusting word of choice of a judgmental society, which allowed the imprisonment of innocent women and children to go on for decades. There were thousands of children like them all around Ireland, malnourished, tearful, forced to march to school in hobnailed boots; forced to arrive later than the luckier ones who were considered “legitimate” in the eyes of a Church and a State which never cared much for their welfare. There but for the grace of a God who didn’t show much concern for them in the first few years of their lives. They could have been adopted to America, illegally, to "good" Catholic families who were able and willing to pay the right price. They could have been farmed out to “respectable” Irish families, some of whom were quick to remind them of their true place in this earth and their lowly station in life. 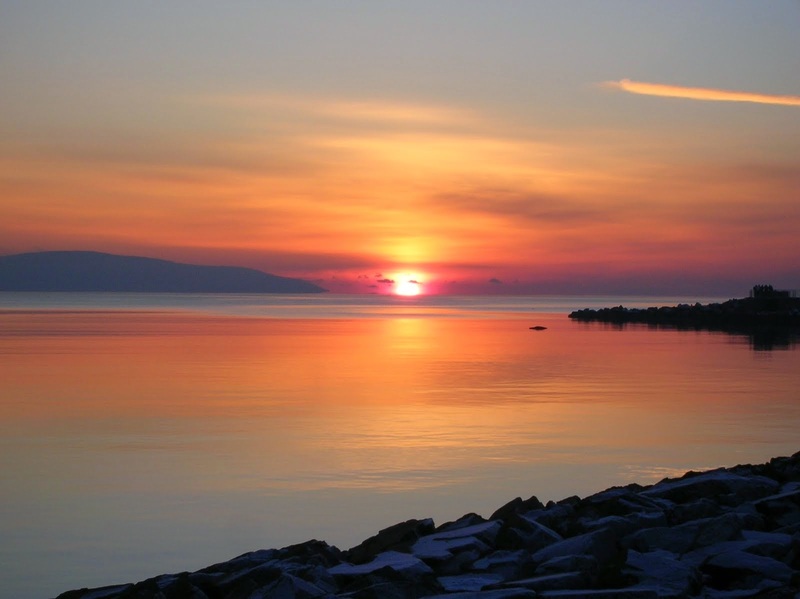 Abuse did not always end in the confines of those homes. Or, God forbid, they might have lived just a matter of days or months, and found themselves dumped in a mass grave in a septic tank. These were people who were never meant to make it onto our TV screens or into our newspapers, but thanks to the tireless research of a brave historian called Catherine Corless we are now getting to know their stories and their names. They stood together in the heart of Tuam on Sunday afternoon and tears were shed as they began their silent, dignified walk through town. People like Peter, who expressed his anguish to a small group of us in a Galway graveyard last year. At 70 years of age, he found out about the little sister he never knew he had. He’s 74 now and only a disgusting, morally bankrupt Church or State would dare to deny him access to justice and the truth about what happened to his younger sibling. People like Annette, whose older sister, Mary Margaret O’Connor, died as a child in the home in 1943. Annette, who lives in Manchester, England, described it as an “obscenity” that the site was not being excavated in order to provide closure and the truth to the families. “I don’t know a country that would put 796 babies in a disused sewage tank. Those babies aren’t hidden, they are in that septic tank and they need to be given back to their families,” she said. People like Anna, who only discovered she had two older brothers after he mother’s death in Dublin. “The Tuam grave is a jigsaw and it needs to be put together,” she said. 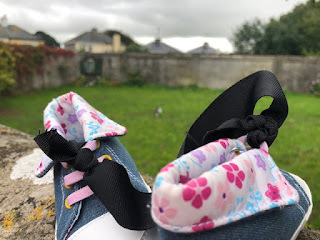 How can any of us imagine the emotions Anna went through when it began to dawn on her that her brothers could have been buried in a septic tank on the site of the Tuam Mother and Baby Home? 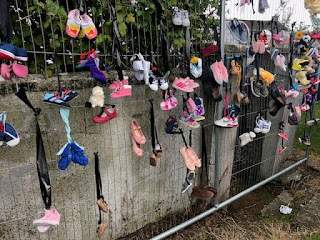 How can any of us imagine how they and other family members feel when they see that part of the site is now a children’s playground in a Council estate in the North Galway town? As though the authorities really went out of their way to cover up and forget the horror of what happened at that site. How can any of us imagine what they go through every day when the Irish authorities fail to comply with their absolute conviction that there should be a complete and thorough exhumation of the site? Can we even begin to imagine what it’s like to believe you have a close member dumped among 796 children in a mass grave in a septic tank? If all of those family members are even there at all, because many Irish campaigners now believe that dozens of the “home babies” were adopted by families in the United States. 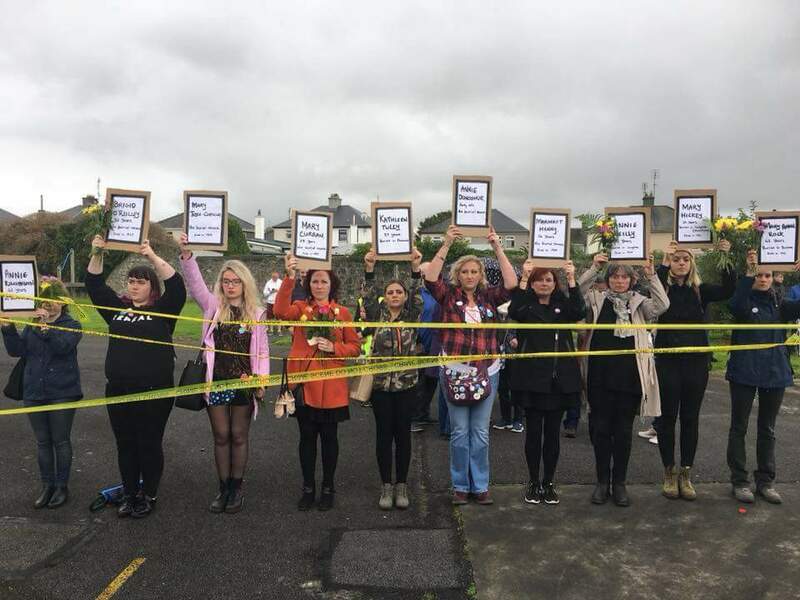 While Pope Francis was appearing before thousands of Irish people at a Mass in the Phoenix Park on Sunday, these amazing survivors came together in the heart of Tuam. 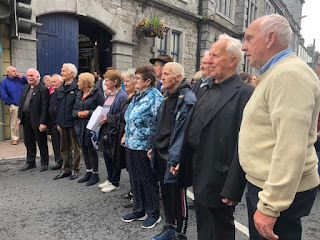 The hundreds who turned out to support them were moved into a sustained and dignified round of applause after their silent vigil through the town. 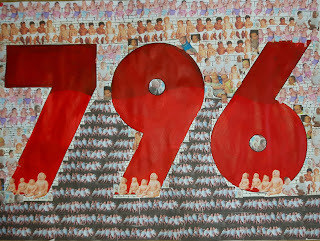 They read out the names of all 796 'Tuam Babies', one-by-one. Local people hung children’s toys along the route to show their support to the survivors and to remind participants of the terrible, brutal injustice which occurred at the site. While the visit of Pope Francis was expected to cost €32 million, these families are waiting on tenterhooks to see if the Irish authorities will come up with the funding required for the full exhumation of the site. Local people tied baby shoes, toys, and teddy bears to railings all along the route to express solidarity to the families, the survivors, and the 796 children whose names were read out at a simple, but poignant, ceremony. Now that Pope Francis’ visit to Ireland has concluded, the Tuam Home Survivors Network have called on the Irish Minister for Children, Katherine Zappone, to convene an Inquest and complete a full exhumation of the site. They want her to show them what correspondence, if any, she has had with the Bon Secours order who ran the infamous home from 1925 to 1961. The Bon Secours order has refused to engage with the survivors and the families and even hired a PR person to try to 'spin' their role in this terrible affair. Minister Zappone wrote a letter to Pope Francis on Monday, calling on the Vatican to contribute €2.5 million as part reparation for its role in the scandal of the Tuam Mother and Baby Home. The families read her letter with interest, but released a statement claiming that the letter “smacks of a stunt, a desperate attempt by a Minister completely out of her depth”. Their anger has not disappeared. 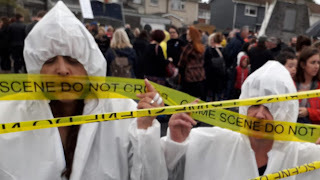 Two activists who have campaigned for justice for the ‘Tuam Babies’, Izzy Kamikaze and Sadie Cramer, cordoned off the site with tape on Sunday and declared it a crime scene. They said they were sickened that the Irish authorities had not carried out a full investigation at the site. 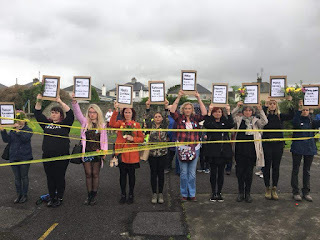 Catherine Corless, Izzy, Sadie, the families, and the survivors all came together in the heart of the North Galway town this weekend and they won’t be silenced any more. Perhaps that, more than anything, will be the legacy of Pope Francis’ 2018 visit to Ireland. The whole world has been alerted to and shocked by the crimes committed against Irish women and children and their subsequent cover-up. The loved-ones of the 796 have found their voices and they are determined to find out the truth now, no matter what barriers they face from the Church or State authorities, or the concerns expressed about the cost involved. Because, thanks to the overwhelming support and solidarity of ordinary Irish people, all of their shame has gone. Their search for justice goes on. Is it time to stop punishing tragedy?